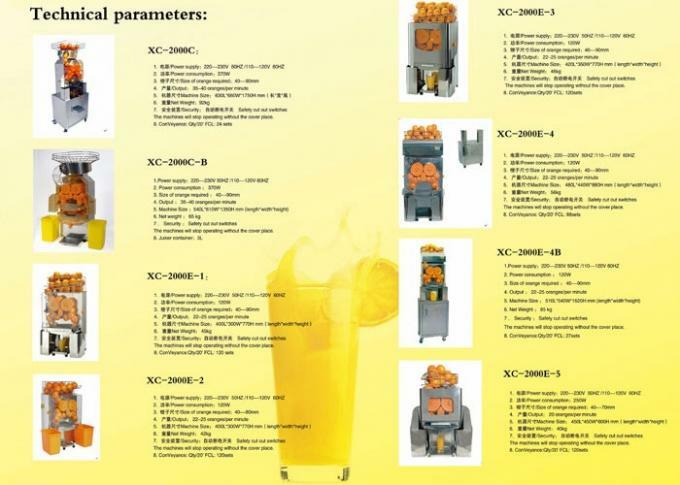 This orange juicer adopt squeeze style, orange after disinfection, rinsing, direct access to this machine, automatic peeling, juicing, filtering,are now pressing and nowdrinking,when you are drinking juice, orange juice was no skin, no wire, seedless, no residue, taste good., it is made of stainless steel. 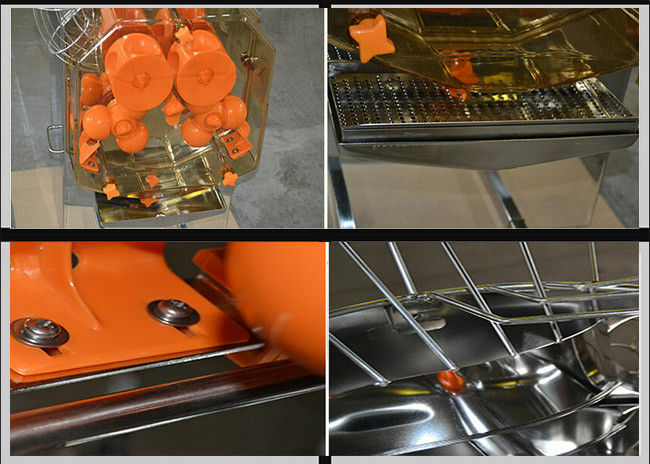 1.The surface of the machine is made by stainless steel,cover is transparent PC.The plastic pressing ball is food safe,no harm to health. 2.Fast squeeze effect,to produce each cup of juice only take a few seconds. 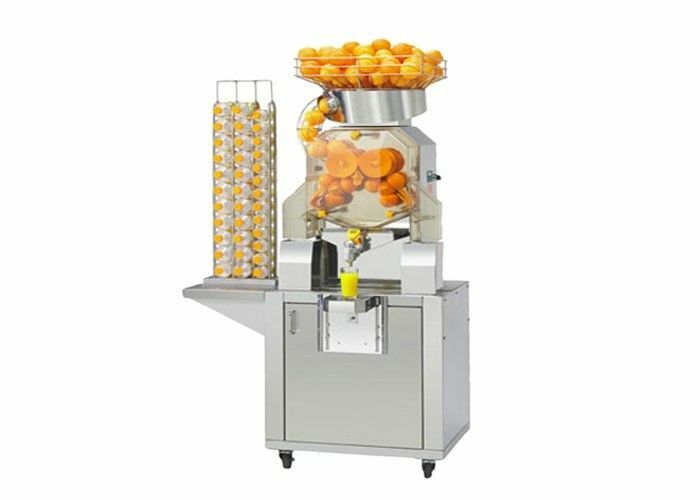 3.With automatic juice and residue separate function automatic feeding function. 4.The pressing ball and cover are easy to detach for cleaning. 5.Design is compact and body is small,very suitable for using hotel,restaurant,buffet and other entertainment place. 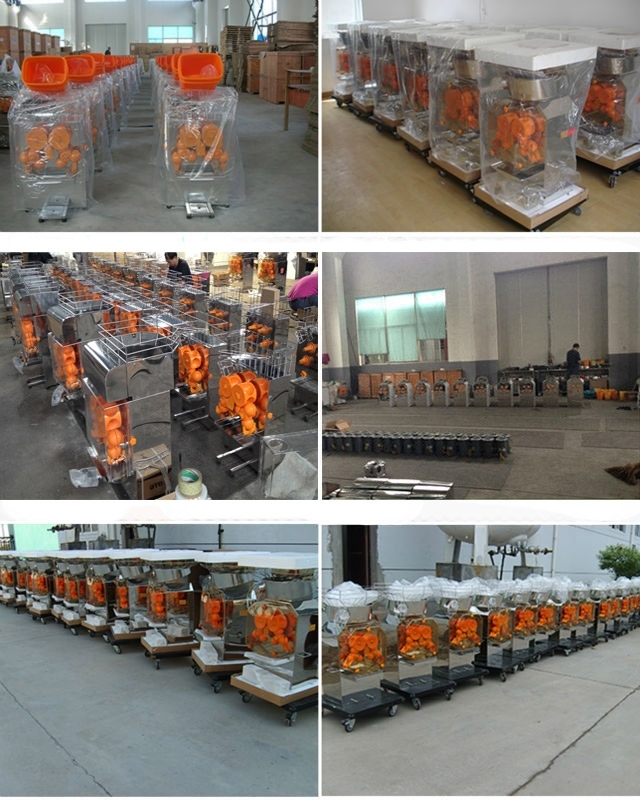 6.The machine have got CE,quality is reliable. automatically . 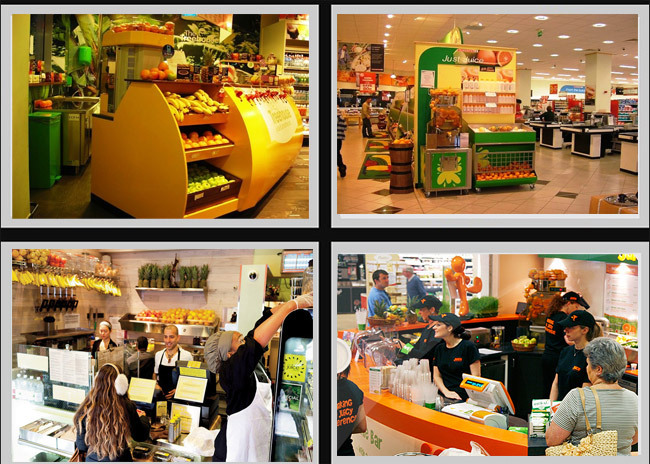 The machine makes it possible to present fresh and nutritious juice to the user instantly and continuously. pressing screw ,two concave balls .